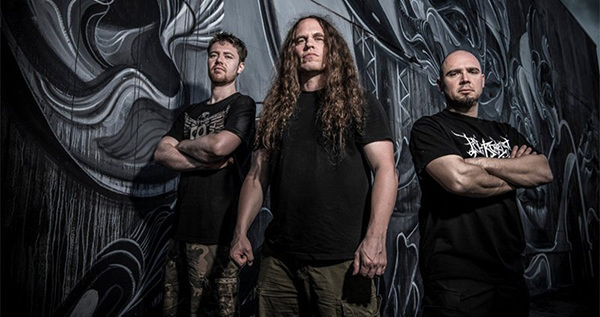 Hate Eternal is streaming their new album, Upon Desolate Sands, in its entirety. The effort will hit streets tomorrow, October 26 and can be heard now through Decibel. Regarding the album, Hate Eternal mastermind Erik Rutan comments: "Finally, the release of 'Upon Desolate Sands' is upon us! This is one of many defining moments for Hate Eternal and we could not be prouder of what we have captured, created and accomplished. We put everything we have into this album to create a very special record, encapsulating the musical soul of the past while still forging forward with new ideas and an expanded musical spirit. We believe that every song on this album really shines with its own unique vibe and aura, capturing the essence of who we are and continuing the legacy of Hate Eternal. Thank you all so much for your undying and unwavering support and we hope everyone embraces 'Upon Desolate Sands'. Eternal gratitude!"